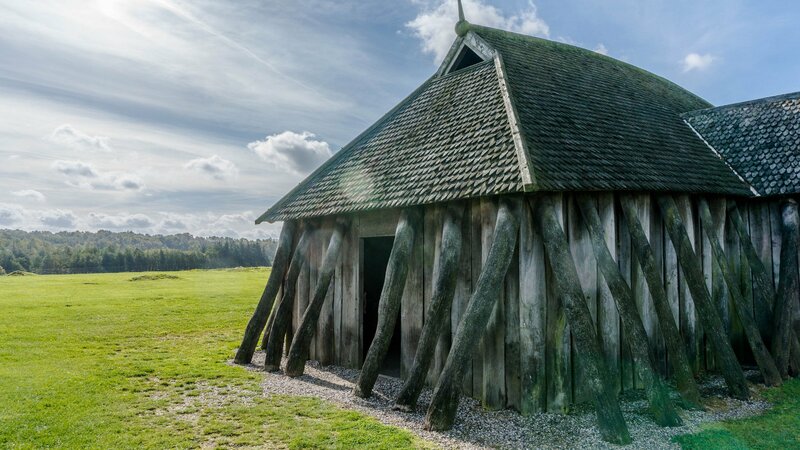 The longhouses built in the Norse world were more than just simple structures that served as places of shelter. In many ways they had a life of their own. Dr Marianne Hem Eriksen spoke on the topic of Longhouses in the Iron and Viking Ages last month at the University Oxford. Currently a visiting research fellow at the University of Cambridge, she is a Norwegian archaeologist researching houses with burial mounds. Erikson argues that the commemorative activities attached to the buried longhouses are not just for individuals who lived there or for those of higher ranks, but they could also be for the houses themselves. After all, the social life and the people who lived in them also make the place full of meaning. It is these meanings that Dr Eriksen aims to reveal. She is particularly interested in the longhouses’ lives and temporalities, as well as the image of the houses in people’s mind. Her research can be divided into three areas: first, she studies the houses as objects that are related to human personhood and agency; here she also considers the architectural form and materials. Second, she unearths the lives in the house, especially moments of tension and change. Third, she places the longhouses in wider, more networked landscapes and takes into full consideration their roles as part of larger social and political schemes. Objects as they may be, however, the longhouses are by no means end products. As Bruno Latour and Albena Yaneva mark out, a house ‘is not a static object but a moving project’. Even without human agency, the timbers and the stones decay and erode; the story of the house is recorded on its ‘skin’. The average household size of the Iron and Viking Age Scandinavia varies between seven and ten people, with the largest ones containing 30 to 40 regular habitants. Social relationships among those people and social differentiation are regulated and manifested through their daily activities in the house and each’s assigned physical space. For moments of tension and change, we mainly look at building and rebuilding of a house. Longhouses are built with wood, which leads to both technical and temporal consequences: when a house is built with wood, it is a never-ending project. Wood itself is an organic, living material; it decays and changes with the season and the climate. It is also a wild material that must be ‘tamed’ before it can be used for human purpose: one must cut off the barks and leave the tree for five to six years before felling it, so the wood is hardened enough and becomes more resilient. To build a house, therefore, also means long-term curation of the trees. Since the right wood is so hard to come by, it is practical and understandable that building materials of the old houses tend to be reused in new houses. Sometimes wood even travels. In a famous story in Landnámabók (Book of Settlement), Ingólfr Arnarson, the first (officially acknowledge) settler of Iceland, threw his high-seat pillars into the water for guidance when the land was sighted. Eventually, he settled where the pillars were washed ashore; that place came known as Reykjavík. Here, the old building material is charged with memory and meaning; it becomes a bridge between the past and the future, between Norway – Ingólfr’s native land – and Iceland, his new home. It is also noteworthy that the wood Ingólfr chose to throw comes from the high-seat, a symbol of his identity and power as a chieftain. The significance the wood carries hearkens back to Ingólfr’s past glory, but at the same time also reveals his anticipation and ambition for the future. In addition to building materials, there are also artefacts deposited in the house that silently account the longhouse’s life. One out of five houses includes a likely or possibly intentional deposits, ranging from everyday objects to carefully crafted artefacts to human remains. These objects tie the house to the people, even when the people stop living there; they have a strong binding power. Moreover, the majority of the objects are deposed at the transitional stage of the house, such as when an old leader passes away and a new chieftain takes up the high-seat. Infants are repeatedly deposed in postholes even after the house was abandoned. In some cases, such as Sejlflod, Denmark, the settlers had a communal burial ground but still chose to come back to the old house to bury these infants. This evidences the house’s special role in the household and the power to create communication with the ancestors, the past, and the dead. Last but not least, houses in landscape. In Norway, houses can be placed solitarily but not in isolation; just as different spaces within one household can navigate social relationship within that house, the placement of different houses also negotiate and reflect social relationships and interactions between different settlements. According to Tacitus’s and Caesar’s accounts, the residents of a certain settlement are assigned new land to build a new house, but something shifted in the first millennium BC; houses began to be built layer over layer. Such superimposed houses easily become a specific point in the landscape, and multi-generation ones tend to be placed at central locations, associated with the elite group. This indicates large social development and the appearance of social hierarchy. In conclusion, houses are never merely objects but part of the life of those who live in them. Human and social relationships change as the houses take on different meanings. As memory sites, the fate of these houses is entwined with the fate of the people; each gives the other meaning. Like a person, a house lives, dies, is remembered and commemorated.